What happens when you put 150 teachers from around the world in the same room for three days with a team of instructors who are over-the-top excited about teaching science? Enthusiasm for making science fun spreads like a virus! If you are looking for the perfect gift for the teacher in your life, consider giving them the gift of education. 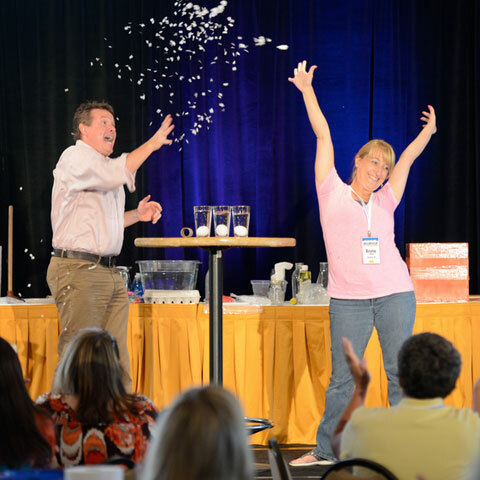 Steve Spangler and his team of educators come together for three days in July for Science in the Rockies. 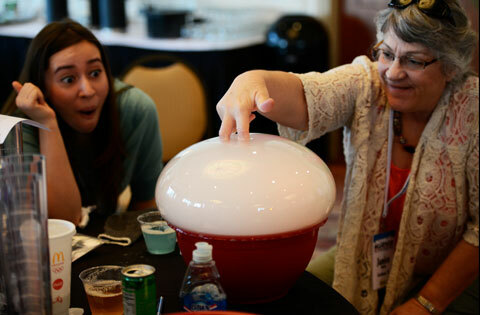 This is hands-on science professional development training that is guaranteed to re-energize and excite every teacher. This is not a “sit-and-watch” teacher training… this is a “get-up-and-do” learning experience featuring over 75 engaging activities that teachers can take home and immediately share with their students. The best part? All of the activities are aligned with Common Core and Next Gen Science Standards, so teachers can easily fit them into their lesson plans. The workshop is $895 for three days. All participants leave the workshop with $300 of hands-on learning materials. They also receive a 250-page training manual that details the entire learning experience. In just three days, teachers will learn how to use exploration and inquiry to create unforgettable learning experiences for their students. 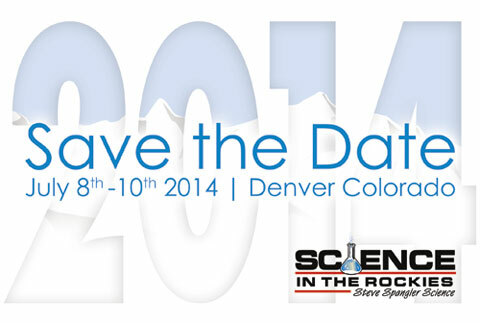 Send your favorite teacher to Colorado July 8-10, 2014 for this inspiring workshop! In the past, we’ve had parents combine funds to send their teacher, or husbands surprise their wives with a trip to Denver so get creative and put together the most in demand teacher field trip for your favorite educator. Save $100 off registration before December 31, 2013. Use the discount code VIRTUAL100.